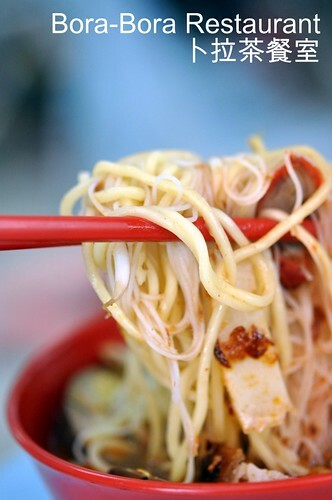 Chee Cheong Fun (Rice Noodle Roll 豬腸粉) is a type of noodle that many people knows, especially in different states, it prepares differently. A very good example, Penang style of Chee Cheong Fun is come with 2 types of sauces where it has the shrimp paste and black sweet sauce (甜酱, timzheong, it is likely a variation of hoisin sauce. Source from Wikipedia), and also sprinkle of sesame, peanut and fried shallots. In Ipoh, way of preparing Chee Cheong Fun is also different from Penang too. What Ipoh has is come with curry sauce, or even sweet sauce, green chilies, chili sauce, sesame, etc. 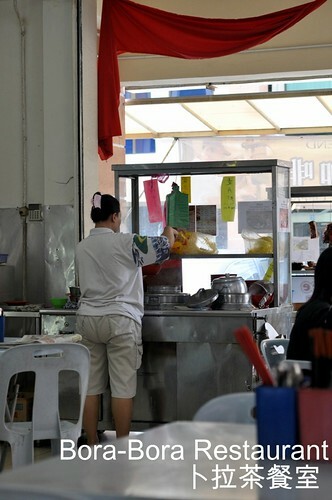 Some stalls are creative will have Chee Cheong Fun in Curry Soup. I bet many have tried this version before. But have you ever try it on Hokkien Mee Soup then? Soup base is home made, and it’s the authentic way of preparing it, example, peel off the prawns shell and blend with chili and fry it, most important is without MSG. 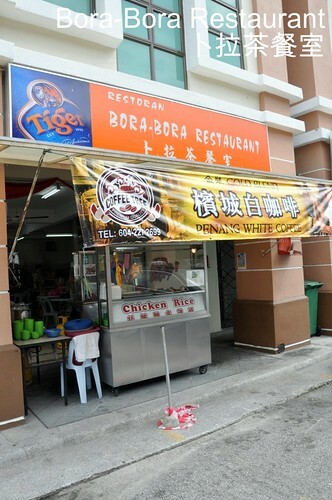 Hahaha… let’s not fool anyone… but the fact is this Bora Bora Coffee Shop that located behind Eastin Hotel has this special Hokkien Mee, it’s Chee Cheong Fun in Hokkien Mee Soup. What it has in the bowl is shrimp, eggs, char siew, fried shallots, beans sprout and so on. If you want additional egg that would be RM0-60, char siew is RM1-00. 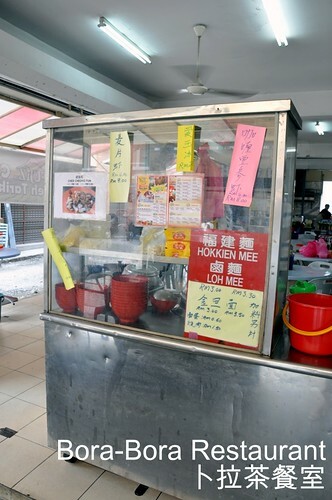 This special bowl of Hokkien Mee will only available for this month only, as the Tau Keh Soh will be returning back to school and giving her dedicated care to the kindy, which requested by many parents. 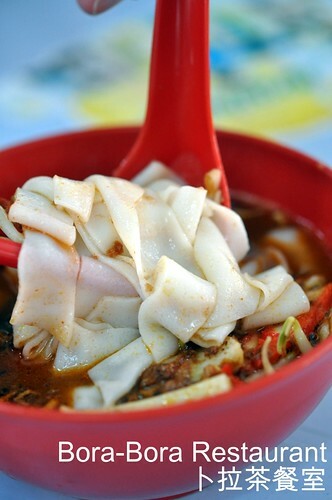 This special bowl of Chee Cheong Fun is only costs RM3-00. So, grab it fast before it’s too late. 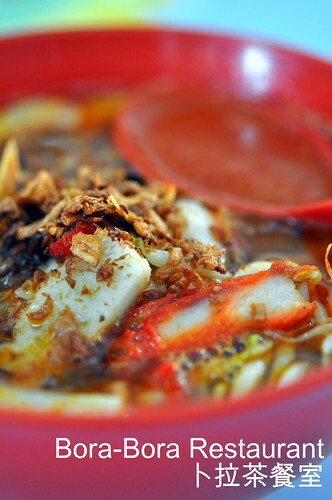 Is the chee cheong fun in Hokkien mee soup taste better than the normal noodle and vermicelli? Interesting review of the chee cheong fun! This looks great!! 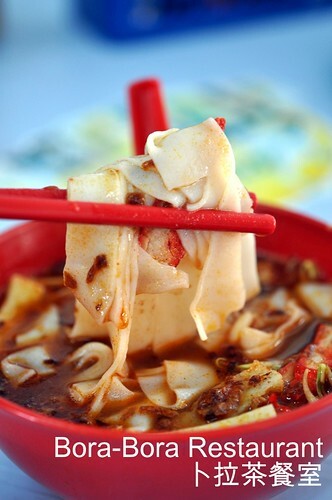 I love chee cheong fun and I love prawn broth... this is like the perfect marriage of two of my favouritest food!! 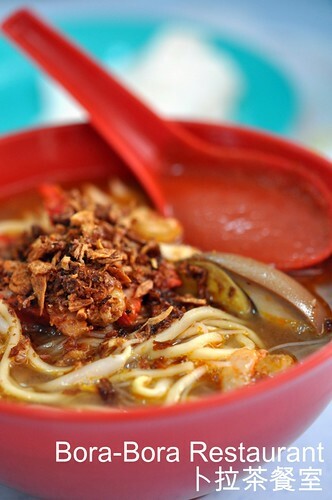 Special CCF in prawn mee soup with limited time available, those Penangite must faster grab it!!! Hi CK, oh yes… indeed an interesting bowl of CCF. 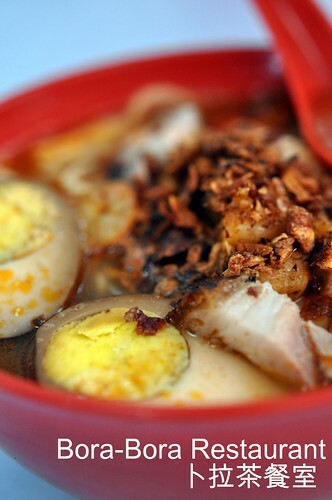 Hi uLi, it’s CCF in prawn mee soup. Special, hor?? Hi minchow, hahaha… what a beautiful praise for that… a perfect marriage. Well, I like. Hi BBO, oh yes… do you wanna try?? Hi taufulou, grab already or not??? Hi Steven, well… you’re be surprise, I’ve tried a couple of stalls have this.